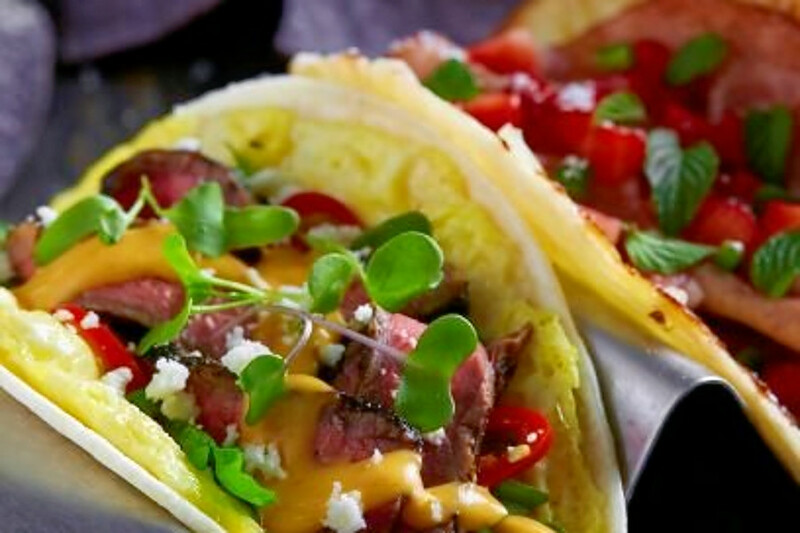 Brunch And More: What’s Trending On Dallas’s Food Scene? DALLAS (CBSDFW.COM/HOODLINE) — Curious where Dallas’s in-the-know crowd is eating and drinking? It’s easy to spot lines out the door, but some underlying trends are harder to see. To find out who made the list, we looked at Dallas businesses on Yelp by category and counted how many reviews each received. Rather than compare them based on number of reviews alone, we calculated a percentage increase in reviews over the past month, and tracked businesses that consistently increase their volume of reviews to identify statistically significant outliers compared to past performance. Read on to see which spots are extra hot, right now. Open since August, this New American and breakfast and brunch spot, which offers tacos and more, is trending compared to other businesses categorized as “Breakfast & Brunch” on Yelp. Citywide, breakfast and brunch spots saw review counts increase by a median of 2.9 percent over the past month, but Velvet Taco saw a 45.5 percent increase, maintaining a sound 4.5-star rating throughout. It’s not the only trending outlier in the breakfast and brunch category: Bottled Blonde Dallas has seen a 18.9 percent increase in reviews, and Arepa TX has seen an 8.9 percent bump. Located at 3411 McKinney Ave. in Oak Lawn, Velvet Taco offers brunch tacos like the Chicken & Waffle (crisp tenders, peppercorn gravy, green apple slaw, maple syrup, peppered bacon, red chili aioli, chives and waffle tortilla) and the Monte Cristo (strawberry jam, honey ham, Gruyere, strawberry jalapeño salsa, powdered sugar, micro mint and French toast flour tortilla). 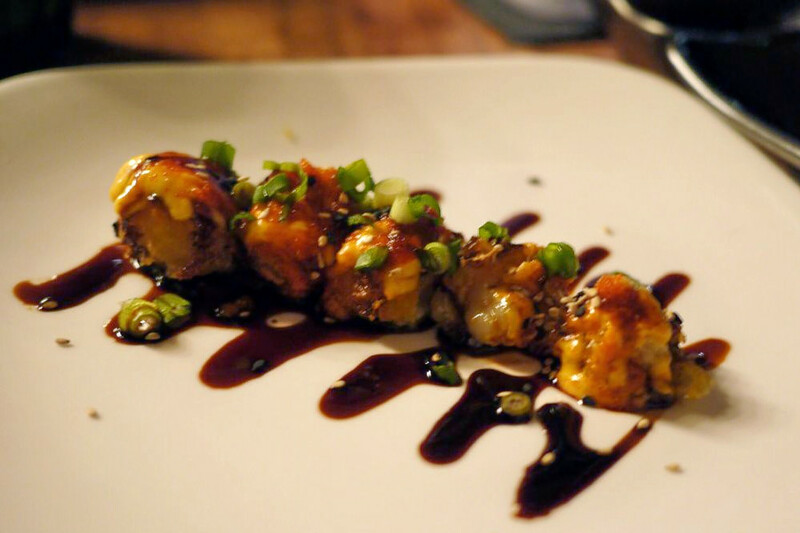 Whether or not you’ve been hearing buzz about Arts District’s Musume, the sushi bar, cocktail bar and Asian fusion spot is a hot topic according to Yelp review data. 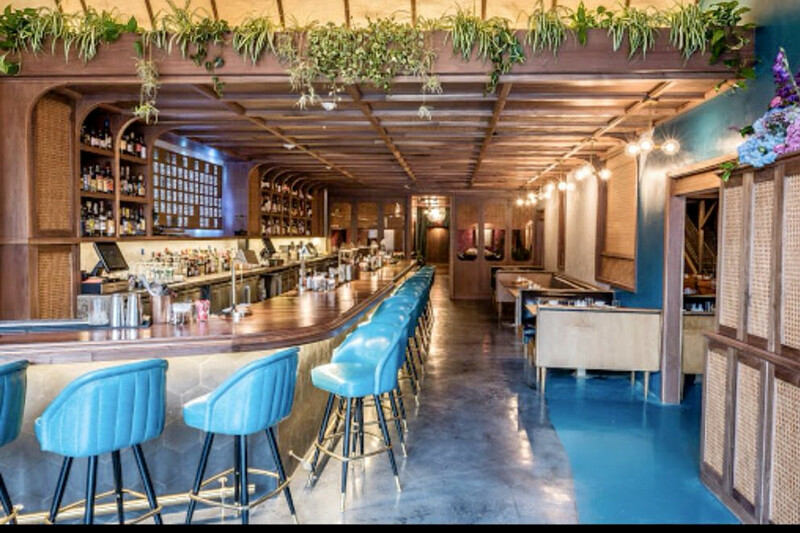 While businesses categorized as “Cocktail Bars” on Yelp increased their review count by a median of 3.1 percent over the past month, Musume bagged a 16.4 percent increase in reviews within that timeframe, maintaining a convincing four-star rating. It significantly outperformed the previous month by gaining 2.0 times more reviews than expected based on its past performance. There’s more that’s trending on Dallas’s cocktail bar scene: MidiCi The Neapolitan Pizza Company has seen a 13.7 percent increase in reviews, and IdleRye has seen a 7.9 percent bump. Open at 2330 Flora St. since January, Musume offers the state’s largest premium sake program with over 125 selections including sake on tap. The restaurant includes an elevated sushi bar and private dining room that seats up to 40 people. Lake Caroline’s Gas Monkey Bar N Grill is also making waves. Open since September 2013 at 10261 Technology Blvd. East, the well-established bar and traditional American spot has seen a 4 percent bump in reviews over the last month, compared to a median review increase of 2 percent for all businesses tagged “Bars” on Yelp. However, on a month-to-month basis review counts increased by more than 3,200 percent. There’s more than one hotspot trending in Dallas’s bar category: Gators has seen a 4.9 percent increase in reviews. 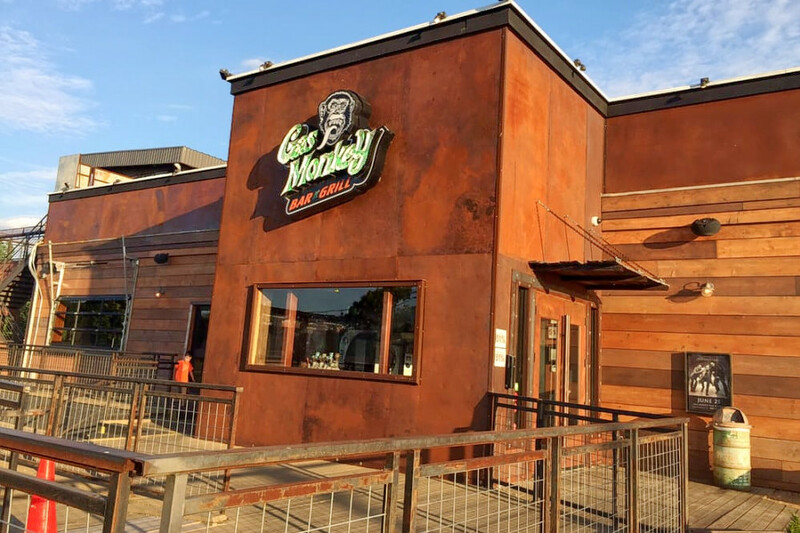 Gas Monkey Bar N Grill offers a full bar of beers and cocktails, alongside its menu of burgers, sandwiches, tacos and more. It also hosts live music. Over the past month, it’s maintained a mixed 3.5-star rating among Yelpers. M Streets’s Gung Ho is the city’s buzziest New American spot by the numbers. The popular Chinese and New American spot, which opened at 2010 A Greenville Ave. in February, increased its review count by 12.5 percent over the past month, an outlier when compared to the median review increase of 2.8 percent for the Yelp category “American (New).” It outperformed the previous month by gaining 1.7 times more reviews than expected based on past performance. It’s not the only trending outlier in the New American category: Twin Peaks has seen a 11 percent increase in reviews.